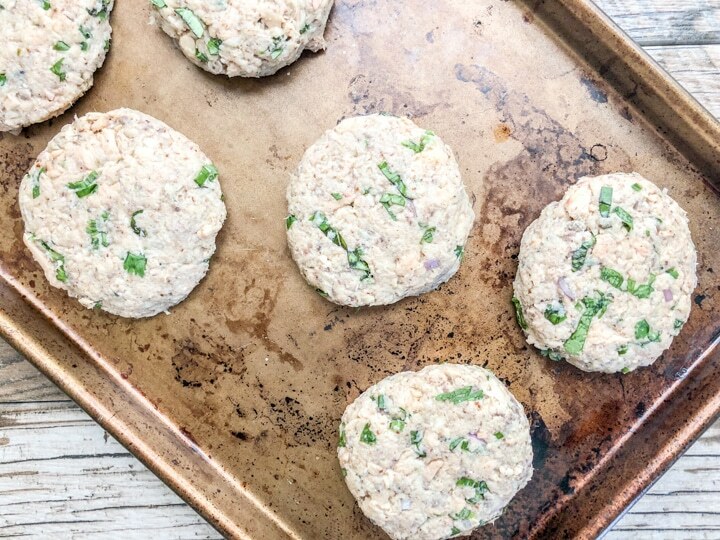 These Easy Whole30 Salmon Cakes are a MUST. They’re a great option when you’re not sure what to make or you just don’t have the time or energy to whip up a more involved dish. I completed my first Whole30 this past spring and I made sure I always had canned salmon stocked in my pantry which was an absolute lifesaver. The most important thing, I learned while on the Whole30 was to make my meals simple. Simple to me equaled Success, so that’s what I stuck with. Canned salmon is rich in protein and pairs perfectly with most vegetables which was a win-win. 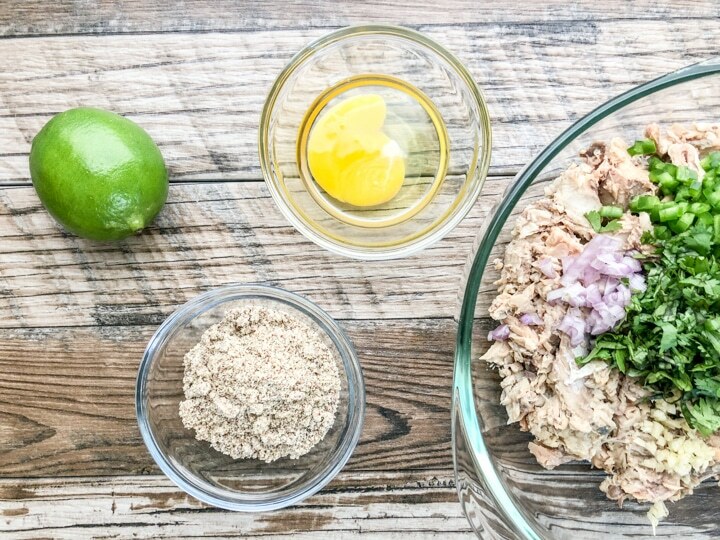 So, if you’re planning on whipping up a batch of these Easy Whole30 Salmon Cakes, you’ll have dinner on the table in about 20 minutes. Honestly, you can serve them as dinner, lunch, or even as an appetizer. They are crispy on the outside and moist on the inside. This recipe is adaptable so please feel free to use your favorite herbs or spices. 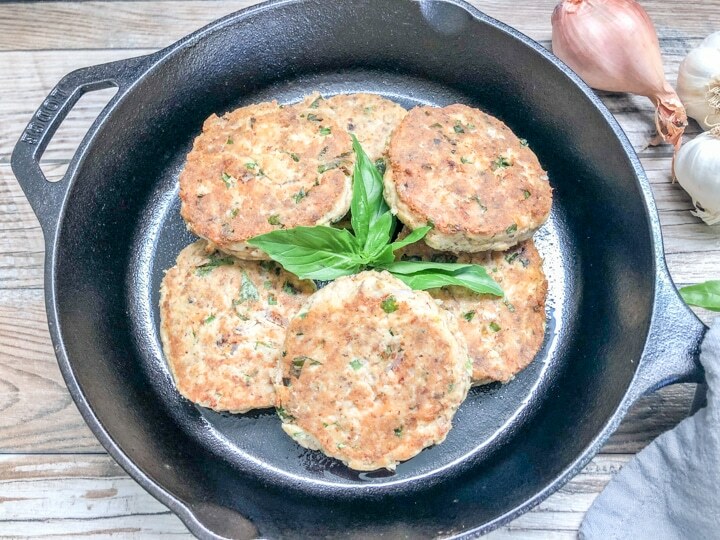 Cooking method: After mixing all the ingredients and rolling into patties, I pan-fried each salmon cake until they were a light golden brown and viola! 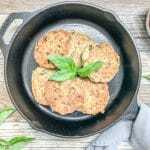 You have beautiful golden brown Easy Whole30 Salmon Cakes. It’s not necessary to remove the bones in canned salmon as they are rich in calcium. I do; however, remove most of them. 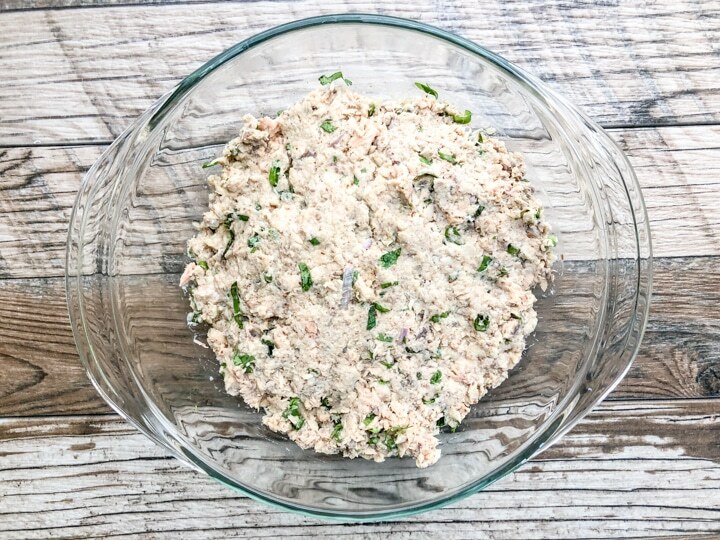 I sure hope you find this Easy Whole30 Salmon Cakes recipe helpful as you progress through your Whole30 journey. Should you have any questions about my experience with the Whole30, I’d be more than happy to share with you. Please do not hesitate to leave a comment below or send me a personal email to cree@cookingwithbliss.com. If you love Pinterest or Instagram, I’d love for you to follow me or if you find this recipe helpful would you mind leaving a star rating. More importantly, thank you for visiting my blog. 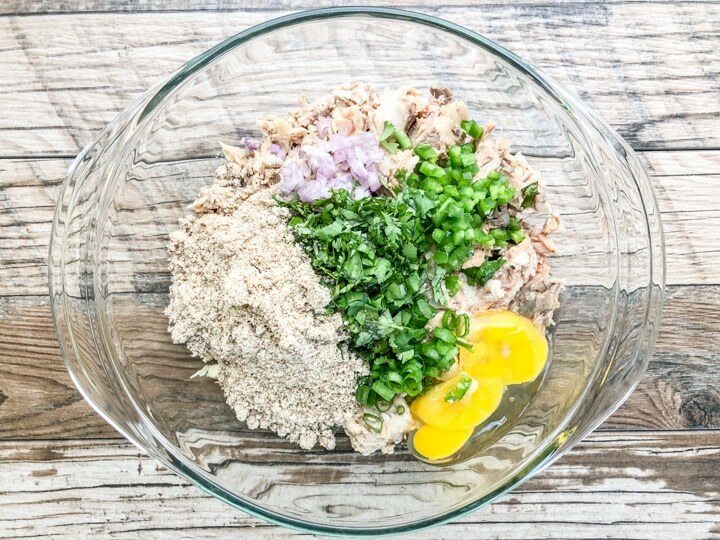 Easy Whole30 Salmon Cakes made with canned salmon, fresh garlic and herbs, shallots, green onions, eggs, lime juice, and almond flour. Place a saute pan or cast iron skillet over medium heat. Add extra virgin olive oil. When skillet is hot, add salmon patties to skillet a few at a time to get a nice sear. DO NOT OVER CROWD THE SKILLET. Cook each side 6 to 7 minutes. It's not necessary to remove the bones in canned salmon as they are rich in calcium. I do; however, remove most of them.